Urinary health is a widespread issue that can impact women and men of all ages. 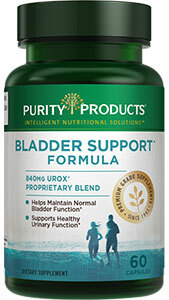 Bladder Support Super Formula to provide nutritional support for this area of health. Bladder Support Super Formula is a proprietary blend of herbs which help maintain normal bladder tone to reduce frequency and urgency to go as well as "leaking". 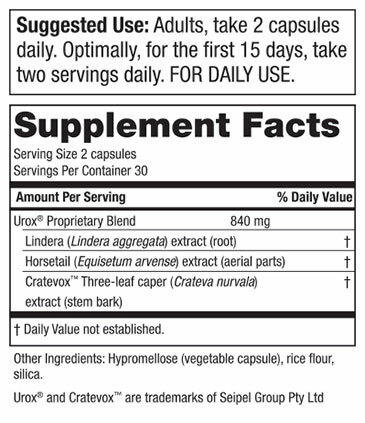 UROX has been developed to effectively assist bladder control. Designed for both men and women, it works by supporting the muscle tone and tissue strength of the bladder, pelvic floor, sphincter and surrounding area.